A quick glance at how I go about work and a few habits of mine. • Current gig: Luthier (hand-craft guitars) at Rittenhouse Guitars. • Current mobile device: iPhone 6s. I do not feel the need upgrade to a newer version because I value the headphone jack feature immensely. • Current computer: Apple MacBook Pro. • One word that best describes how you work: Passionate. When I start working for someone or on a project, it takes me a few days to get the essence of it. Once I understand why I am doing it then I become passionate about it to the point where almost everything that happens outside of the actual work I try to relate it to the job. I channel that energy to think outside-of-the-box and problem-solve. • What apps/software/tools can’t you live without? Ebay app is a must for me throughout the day. I sell shoes and am in constant communication with my buyers. I use the Sleepcycle app to keep track of how much I sleep. It features an alarm clock setting that wakes you up in your lightest sleep phase. • What’s your workspace like? Minimalist. I do all of my work at my corner desk. I always keep a pen, notebook and my Harry Potter glass water bottle in my desk. I clear everything in my view whenever I have to get stuff done. 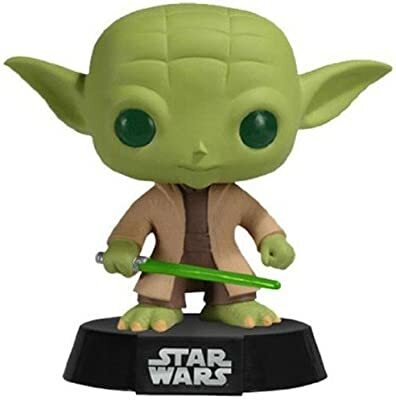 I have a Yoda funko pop in my desk which helps me whenever I am having trouble with any problem. I simply ask myself, “what would Yoda do?” I keep one Tropical Breeze scented candle by my laptop which I enjoy smelling once a day. Just once a day. • What’s your favorite to-do list manager? Stephen Coveys Seven Habits Weekly Planner. • What’s your best time-saving trick? To know whether I should invest my time in X matter I ask myself three things: 1) Does it edify my brain? 2) On the long run, is it worth it? 3) If every single human does X thing, will the world be a better place? If the answer is no to two of the three questions, I waste no time on it and carry on my with my life. • Besides your phone and computer, what gadget can’t you live without? My iTouch. • What everyday thing are you better at than anyone else? Constantly discovering and drawing parallelisms between the minuscule things I notice during the day, to the big picture ideas and concepts. • What are you currently reading? Admired : 21 Ways to Double Your Value. The Bible. • What do you listen to while you work? Upbeat indie music if I work in the morning/daylight. At night I listen to the “Deep Focus” playlist from Spotify. • Are you more of an introvert or an extrovert? I am an introvert. Spending time alone in nature fuels my soul. I enjoy small parties rather than big parties. Whenever I go to the movie theatre, I choose the early afternoon showtime slot. I have noticed that around introvert people I become an extrovert to lighten things up, get a conversation going. • What’s your sleep routine like? Around 10:30-11 pm I clean up any visible mess in my room, start playing the “Deep Focus” playlist on my laptop. Then, I floss and brush my teeth. Set up my Sleepcycle alarm and by 11:30 pm I already have fallen asleep. 8 hours of sleep is non-negotiable! • What’s the best advice you’ve ever received? As a person, you cannot change the world, but you can change the world of one person. • Is there anything else you’d like to add? I have come to understand that failure is necessary for you to have success in anything in this life.